When it's cold and dark outside by 5PM along with endless days of rainy winter weather that's when the knitting needles and crochet hooks find their way into the living room by my favorite comfy chair. A new project begins. I fell in love with this afghan immediately and just had to make one of my own. The big attraction for me is the way the beautiful pattern of color and squares in three different sizes are all randomly pieced together. If you would like to make your own version of this lovely quilt there is a free pattern available at the Lion Brand website. 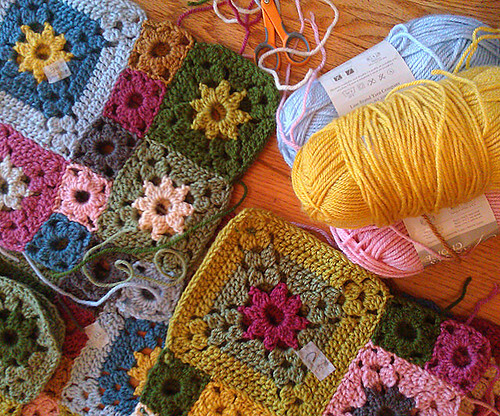 First each square is individually crocheted. 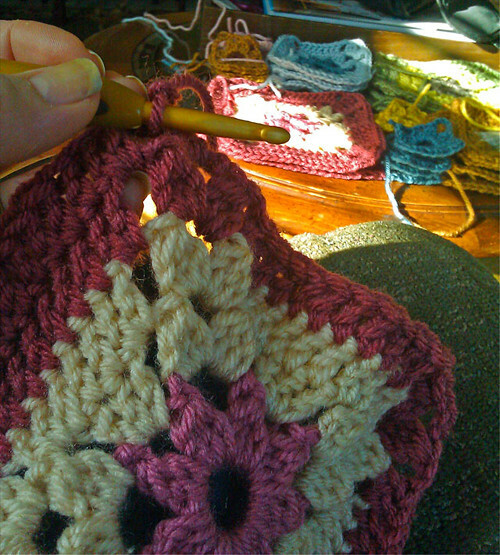 It's easy to take a square with you and work on it when waiting for appointments, etc. Working on a square. Please note an unusual winter ray of sunlight shining in through the window. Here are individual squares with long yarn tails ready to sew together with a large blunt needle. Making the squares into larger retangular blocks. 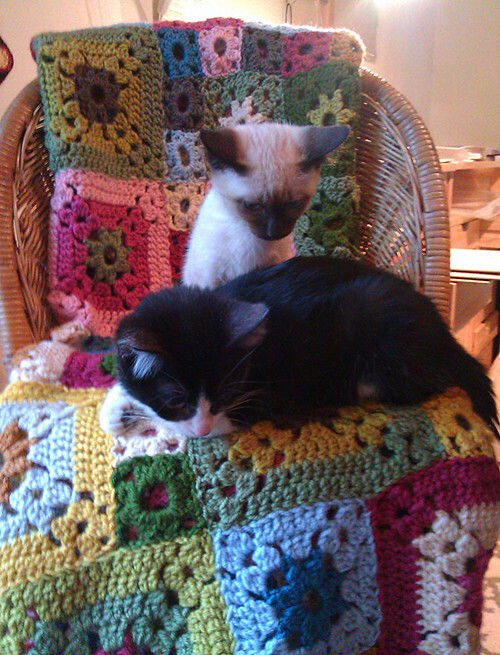 Quincy and Zoey are the first to try out the finished afghan. Probably checking to see if it's worthy of taking a nap on or not.